On September 11th, at 4:54pm EST Toonami dropped some MAJOR News! 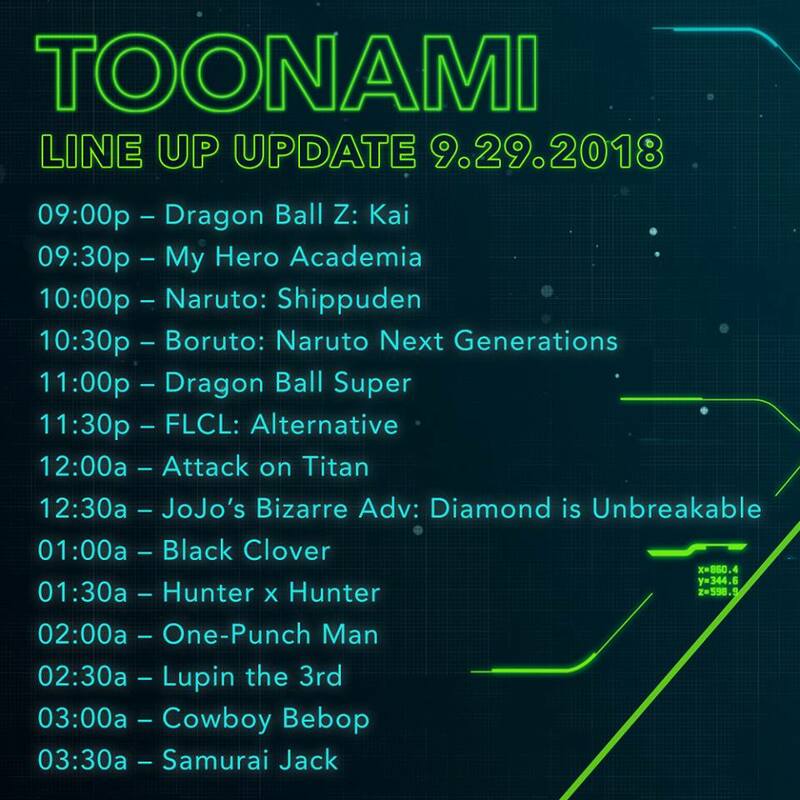 Toonami will now be 7 hours long expanding to 9pm starting September 29th and that isn’t the only change Toonami is bringing to their lineup as there will be a major shakeup with the block’s schedule. Toonami will be bringing back DBZ Kai to kick off the block at 9 p.m. Naruto Shippuden will air at 10 p.m. moving from 2 a.m. with Boruto: Naruto Next Generations debuting on the block at 10:30 p.m.
Dragon Ball Super will fall back half an hour and air at 11 p.m. Attack on Titan Season 3 will air now an hour later at midnight. Black Clover will now air at 1 a.m. before Hunter x Hunter(1:30 a.m.). And finally, the block will now end with Samurai Jack at 3:30 a.m which bumps up One-Punch Man(2:00 a.m), Lupin the Third Part IV(2:30 a.m), and Cowboy Bebop(3:00 a.m.) a half an hour earlier. Also we have confirmed with Adult Swim in an email that Toonami will not only be starting at Season 1 of Samurai Jack but will be broadcasting it HD for the first time. All of these changes will take effect Saturday September 29th. 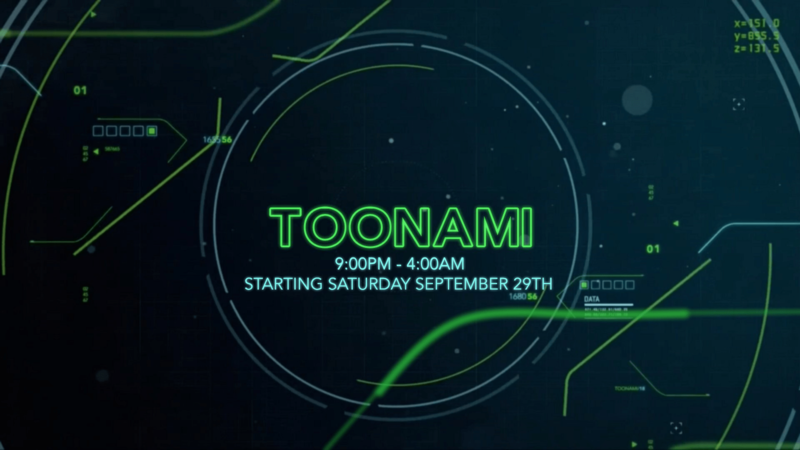 What are your thoughts on all of the new changes with Toonami’s lineup? Let us know below in the comments and on our social media accounts.